Native breeds led the way in the overall cattle inter-breed at Bucks County, taking champion and reserve. Inter-breed beef and Hereford champion, Coley 1 Pilot, from Heather Whittaker, Halifax. The top spot went to the Hereford champion, Coley 1 Pilot, a 20-month-old bull by Coley 1 Maverick from Heather Whittaker, Halifax. Previous wins this season include the breed championship at the Royal Highland and the Great Yorkshire where it also claimed the junior inter-breed title. Described by judge Paul Walker, West Midlands, as having exceptional power and strength, it will be sold at the Designer Genes sale in December. Taking the reserve overall and reserve native rosettes was Warrenho Empire, a January 2017-born Aberdeen-Angus bull by the last Royal Show champion, Warrenho Dalmigavie. Exhibited by A.E. and C.R. Bishop, Wokingham, it has already been breed champion at Surrey County, Gillingham and Shaftesbury, and the Edenbridge and Oxsted show this season and will go to Stirling bull sales in October. The continental beef championship went to Dinmore Macaroon, a March 2016-born Limousin heifer by Diamont from Andrew and Emma Bishop, Little Horwood. Inter-breed dairy and Jersey champion, Barnowl Excitation Victoria 4, from the Barnowl Jersey Stud. Inter-breed sheep champion, Trewyrlod Rich, from Derek Knowles, St Albans. 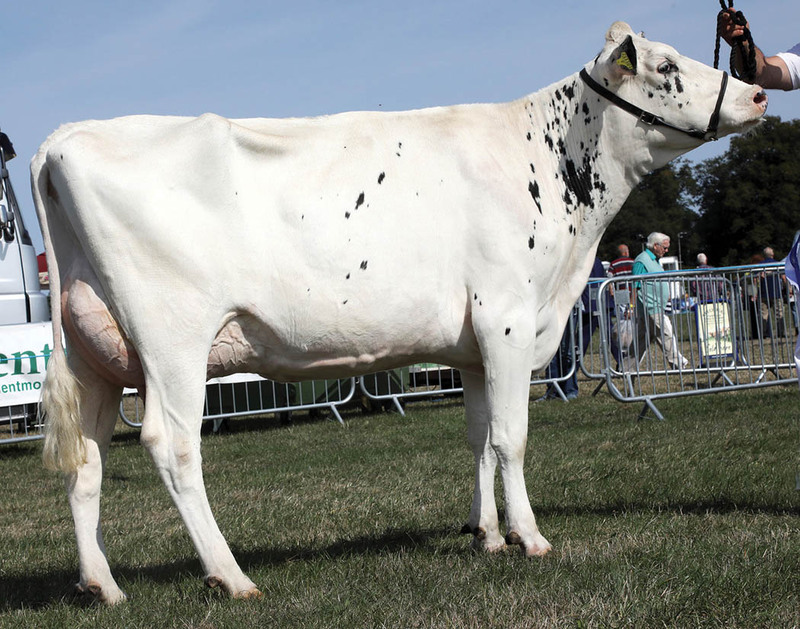 A small but quality entry of dairy cattle resulted in the championship going to the Jersey champion, the second-calver Barnowl Excitation Victoria 4, by Bridon Excitation, from the Barnowl Jersey Stud, Brackley. Unbeaten as an in-milk heifer last year, it was making its seasonal debut. Standing reserve was the Holstein champion Egginson Zeber Melanie 20, an in-milk heifer from Richard Sears, his father John, and daughter Ruby. Trading as G.B. Sears and Sons, the family has been milking pedigree cows at Eggington, Leighton Buzzard, for 101 years. 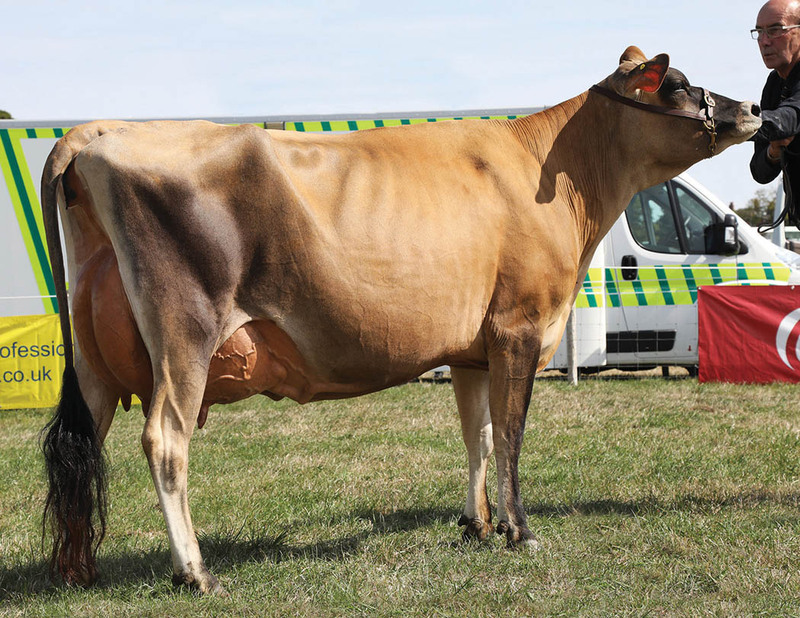 The Go-Farm Zeber-daughter calved in February and is predicted to produce 10,000kg in its first lactation. Judge Roger Steeples, Northamptonshire, said his champion had tremendous rear udder attachment, openness of rib, wonderful legs and feet and was a credit to the breed. However, he was also impressed with his reserve champion which, he said, had a great future. In the sheep rings, judge Jeff Chilman, Powys, chose the any other native breed champion as his winner. This was the six-year-old Clun Forest ram, Trewyrlod Rich, from Derek Knowles, St Albans. 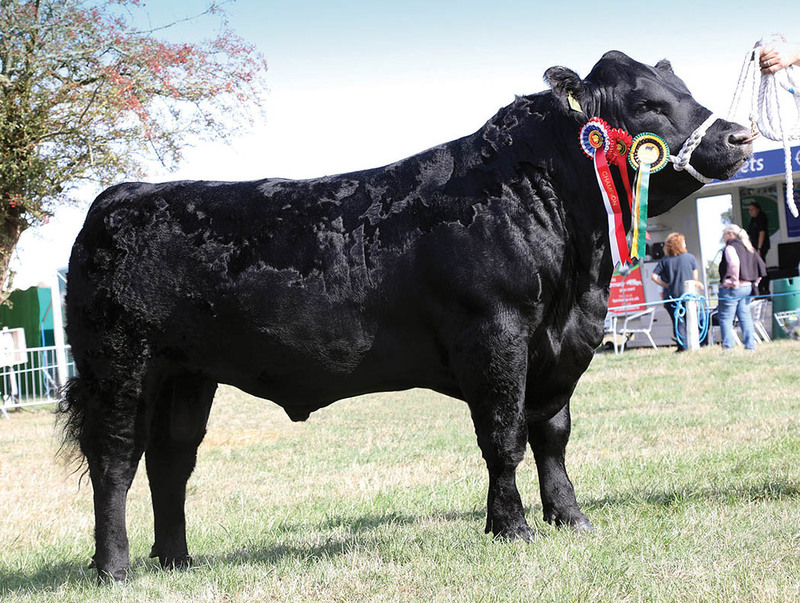 A winner of seven breed championships this season, including the Royal Norfolk, Kent County, Nottinghamshire and the Edenbridge and Oxsted shows, it is also the sire of this year’s Royal Welsh inter-breed champion. 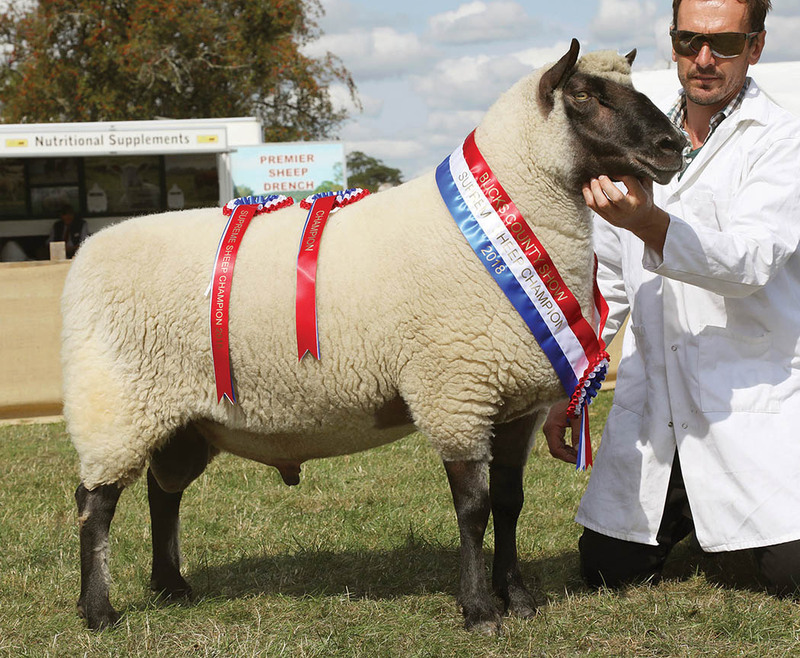 The reserve spot went to Basil Cooper with a home-bred Southdown shearling ewe from his Glandore flock, Aylesbury. By a Ridings ram, it was a winner at Kenilworth earlier in the year. Inter-breed (R. Steeples, Northamptonshire) Sup., Barnowl Jersey Stud, Barnowl Excitation Victoria 4 (Jersey); res., G.B. Sears and Sons, Egginson Zeber Melanie 20 (Holstein). Holstein (R. Steeples) Sup., G.B. Sears and Sons, Egginson Zeber Melanie; res., G.B. Sears and Sons, Egginson Goldfish Eidth 49. Jersey (B. Daw, Hertfordshire) Sup., Barnowl Jersey Stud, Barnowl Excitation Victoria 4; res., Barnowl Jersey Stud, Barnowl Miles Tulip. Inter-breed dairy reserve champion, Egginson Zeber Melanie 20, from Richard Sears, his father John, and daughter Ruby, Eggington. Inter-breed (P. Walker, West Midlands) Sup. and native, H. Whittaker, Coley 1 Pilot (Hereford); res. and res. native, A.E. and C.R. Bishop, Warrenho Empire T655 (Aberdeen-Angus); continental, A. and E. Bishop, Dinmore Macaroon (Limousin); res. continental, Mortimers Farm, Mortimers Novelty (Charolais). Aberdeen-Angus (A. Johnson, Yorkshire) Sup., A.E. and C.R. Bishop, Warrenho Empire T655; res., Glympton Farms, Glympton Pride Jean. Charolais (R.J. Kimber, Wiltshire) Sup., Mortimers Farm, Mortimers Novelty; res., Mortimers Margarita. Dexter (K. Hasemore, West Sussex) Sup., C. King, Northbrook Titan; res., P. Stone, Hunterstone Redshank. Hereford (J.D. Moorhouse, Somerset) Sup., H. Whittaker, Coley 1 Pilot; res., Moralee Herefords, Coley 1 Pippa. Limousin (S.R. Smith, Northamptonshire) Sup., A. and E. Bishop, Dinmore Macaroon; res., M.J. Dickens and family, Dinmore Istria. 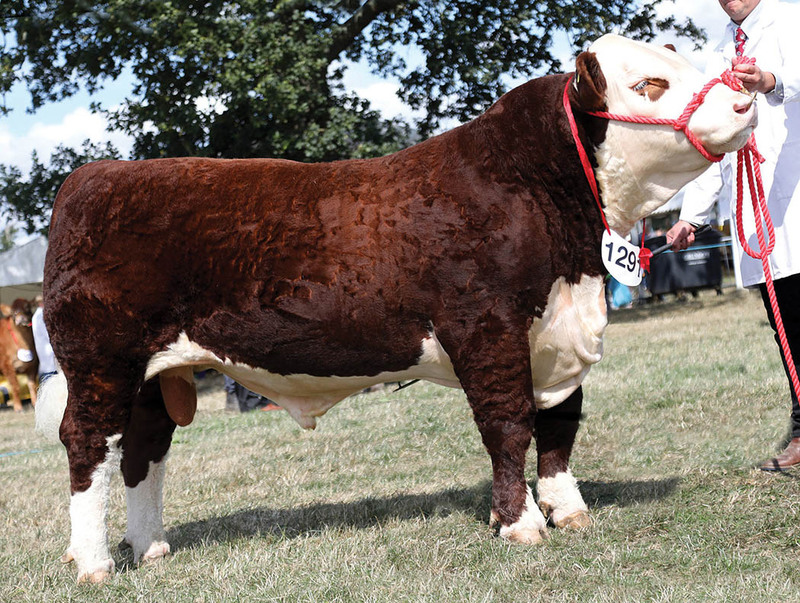 Beef Shorthorn (C. Marler, Buckinghamshire) Sup., P.A. and H.M. Coles, Sleightholme Rlibus; res., G. Hunt, Wenmar Tessa A.
Simmental (R.J. Kimber, Wiltshire) Sup., R. and J. Lewis, Alchester Flora’s Hyacinth; res., R. and J. Lewis, Biddlesden Irresistible. Any other native (A. Johnson) Sup., A.E.J. and F.J. Claridge, Knowlhill Rose (South Devon); res., P. Harris, Maggie May of Harris (Highland). Any other continental (S.R. Smith) Sup., J. and W. Laight, Witham Bank Jade (British Blue); res., J. and W. Laight, Witham Bank Looking Good. Commercial (T. Lyon, Lincolnshire) Sup. and male, F. Page, Gogglebox; res. and fem., Plested Butchers, Classy. Inter-breed beef reserve champion, Warrenho Empire, from A.E. and C.R. Bishop, Wokingham. Inter-breed (J. Chilman, Powys) Sup., D. Knowles (Clun Forest); res., B. Cooper (Southdown). Charolais (A. Gregory, Buckinghamshire) Sup. and res., G.C. and C.J. Watson. Southdown (A. Lambert, West Sussex) Sup. and res., B. Cooper. Texel (B. Smith, Northamptonshire) Sup., R.J. and B.E. Kimber; res., R. Kellet. Wiltshire Horn (T. Elliott, Northamptonshire) Sup. and res., J.M. Jeyes. Primitive breeds (J. Hampstead, Lincolnshire) Sup. and res., D. White. Any other pure breed (D. Duggan, Herefordshire) Sup., P.A. and H.M.
Coles (Blue Texel); res., J. Pratt (Suffolk). Rare native breed (G. Hampstead) Sup. and res., C. Sander (Leicester Longwool). Any other native breed (P. Chilman, Powys) Sup. and res. D. Knowles (Clun Forest). Cross breeds (D. Wadland, Northamptonshire) Sup., J. Jack (Texel cross); res. G.E. Haynes and Sons. Butchers lambs (D. Wadland) Sup. and res., S. Clark (Beltex cross).